The 2019 Volkswagen Jetta puts you in the lap of luxury. Quintessentially “Volkswagen,” the Jetta comes with an abundance of high-tech features, as well as comfortable seating for up to five passengers and available features like V-Tex upholstery and heated front seats. Explore other standard and available features inside the new Volkswagen Jetta interior here, and then see it for yourself at Sunrise Volkswagen near Rockville Centre! V-Tex Leatherette Upholstery – Beginning with the second trim in the lineup, you’ll get V-Tex upholstery, which simulates the look and feel of leather while remaining incredibly durable through the years. Power Moonroof – Most versions of the Jetta also come with a power tilting/sliding moonroof, providing you with sun during the day and a view of the stars at night. Multi–Function Steering Wheel – The three-spoke steering wheel is offered with full leather wrapping and controls for music, radio, volume, cruise control, and more. 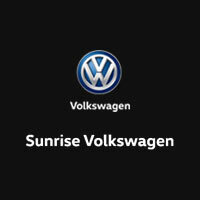 The latest rendition of the VW Jetta is on sale now at Sunrise Volkswagen near Rockville Centre. Find out how many miles the Volkswagen Jetta can go and how it compares to the Toyota Corolla. Get an idea what your monthly payments would be with the help of our payment calculator, and contact us for more information!